Compact, rounded evergreen with rounded-elliptic dark green leaves. 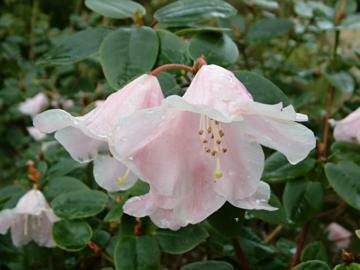 Profusion of large, bell-shaped, shell pink flowers in April and May. Moist, well drained, humus-rich, acid soil in sun or part-shade. Good for the small gardens.